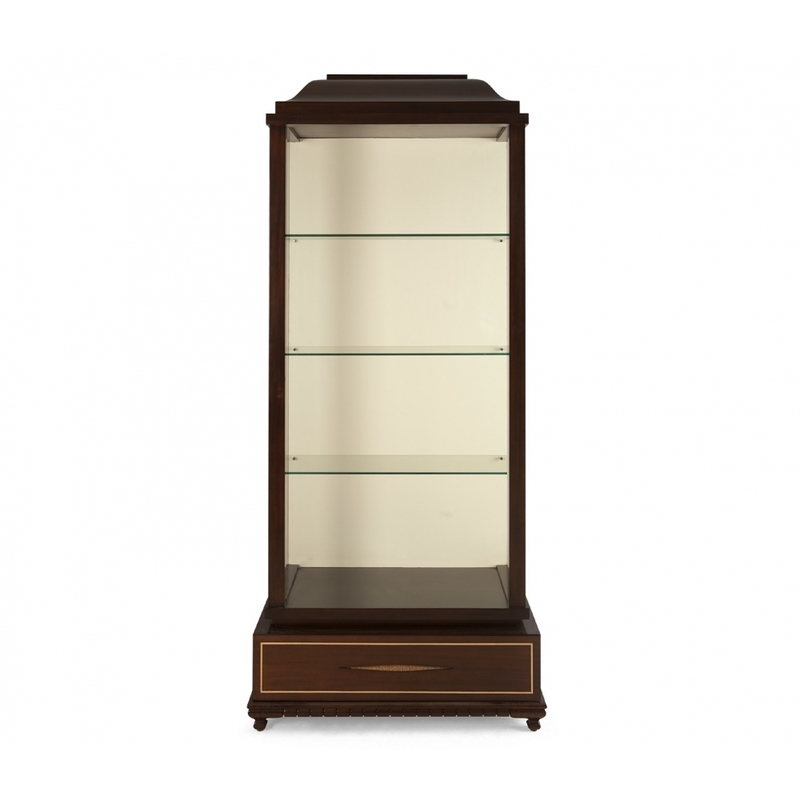 An outstanding open-front mahogany display cabinet, shown here with an eggshell backing and Coco wood finish. Peerless for showcasing 'objets d?art' or hardbacks. The lower drawer face displays a fine inlay border, including Christopher's 'silk-cut' signature detail. Warm LED strip lighting, concealed within the front uprights illuminate the display from both sides. The finish of interior drawers is available in following options: Red Valentino Lacquer with Grade CC Ultra Suede Poppy Red drawer liners or Ivoire Lacquer with Grade CC Ultra Suede Artic drawer liners.